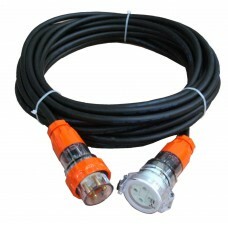 32 Amp 10m 240V Heavy Duty Industrial Extension Lead. Cable :6mm²R. 32 Amp Australian Standard Single Phase(240V) 3 Round Pins Heavy Duty ..
32 Amp 20m 240V Heavy Duty Industrial Extension Lead. Cable :6mm²R. 32 Amp 25m 240V Heavy Duty Industrial Extension Lead. Cable :6mm²R. 32 Amp 30m 240V Heavy Duty Industrial Extension Lead. Cable :6mm²R. 32 Amp 40m 240V Heavy Duty Industrial Extension Lead. Cable :6mm²R. 32 Amp 50m 240V Heavy Duty Industrial Extension Lead. Cable :6mm²R.